Home > Archive by Category "Eviction Lawyers"
When Should You Hire An Eviction Lawyer? There is a lot of confusion out there about landlord-tenant rights and the eviction process. One would think that the information era of the internet would eliminate any disagreements about the law. Yet, with all of the information out there, also comes an equal or even greater amount of misinformation. Also complicating matters are landlords who are not educated about the law and or abide by procedures and practices that are outdated or heard through word of mouth. These are some of the many reasons why landlords and tenants, alike, should contact eviction lawyers in landlord-tenant disputes. 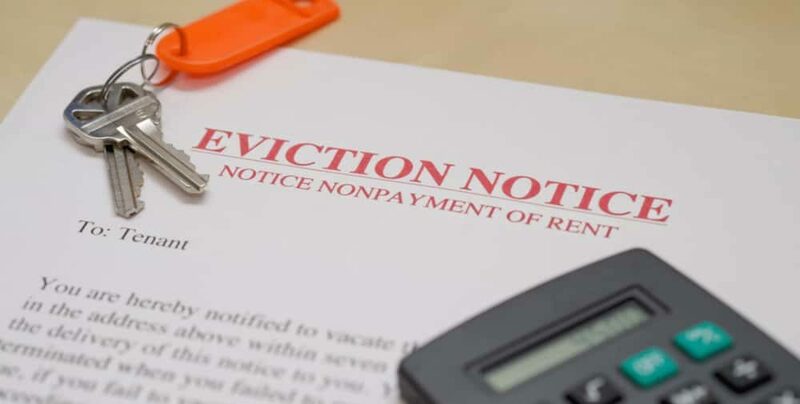 Depending on the circumstances; an eviction may be called a retaliatory eviction, meaning that the landlord does not like what the tenant is doing but there is not much legal basis for the eviction. For example, a tenant that consistently pays the rent a week late would be difficult to evict without some sort of clause in the lease about late payments. Another common issue would be if the landlord and tenant have some kind of personal dispute. A landlord cannot evict a tenant without legal grounds. Legal grounds in the State of Connecticut are Expiration of the Lease, Nonpayment of Rent, Breach of Tenant’s Statutory Duties, Breach of Lease Terms, Illegal Conduct or Serious Nuisance. Eviction lawyers are well-versed in the legal grounds for eviction and evidence needed to sustain said grounds. When a landlord is not following proper procedures for an eviction; it is not only an injustice to the tenant, but can also damage the landlord’s chances of eviction and collections at a later date. These scenarios arise often, especially in cases where the tenants are younger, older, uneducated or financially strained. Also common is when there is a dispute between the landlord and tenant over money, living arrangements, etcetera and the landlord verbally “orders” the tenants to leave within a certain period of time. However, no amount of verbal threats or promises of police contact are enough to actually evict a tenant in the State of Connecticut. This is the first mistake a landlord can make. Although it is advisable to orally attempt to resolve the issue; a Kapa Notice should be given to the tenant before the initiation of the eviction. A Kapa Notice is a written letter from the landlord to the tenant delineating what the issues are and requesting that they be resolved within fifteen days. In other states this may be called a good faith notice. The concept is that the landlord tried to work things out before evicting the tenant. Landlords that have evidence of a Kapa Notice will generally be more likely to have a Court issue a Summons and Complaint later in the proceeding. The next step would be a Notice to Quit. The Notice to Quit is extremely important in an eviction proceeding. If it is not complete, sufficient and properly served; then the entire eviction will be thrown out at court. The Notice to Quit gives a tenant three days to leave the premises. If the tenant still does not leave, then a Summons and Complaint may be issued by a Superior Court. The Summons and Complaint must also be properly served and a hearing date will be set. Clearly, eviction law in Connecticut is not as simple as strong arming a tenant into leaving. Yet, that is often what landlords and tenants are experiencing. It is always best for both parties to consult eviction attorneys when landlord-tenant issues arise and an eviction proceeding is on the horizon. Stay informed for more helpful insight into eviction law.